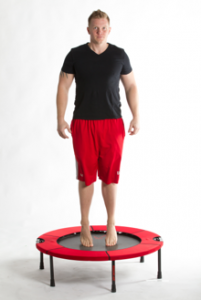 There a lot of exercises you can do on the Rebounder to increase your balance, strengthen your core and build your endurance. It is important that you know the different exercises so you can get the complete body workout you need, and to ensure that your form is correct, enabling you to gain a stronger, fitter body. Let us take you through a few key exercises to enable you to get the most out of each and every workout. When beginning a workout of any kind, always remember to warm up your body. 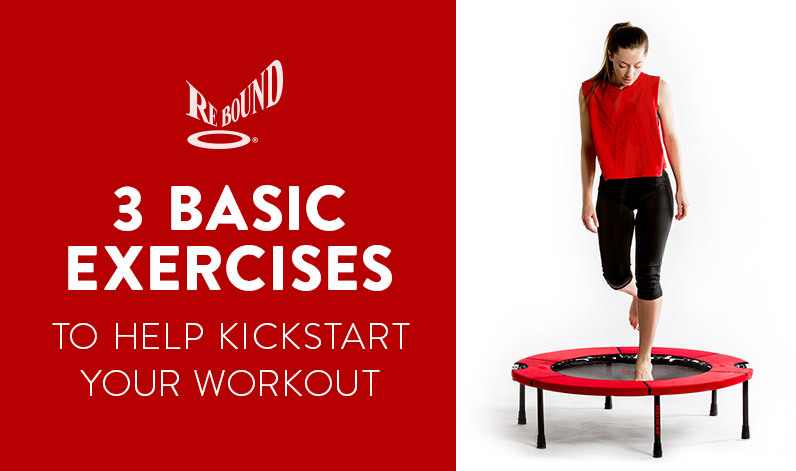 It is not a healthy practice to start pushing yourself before your body is geared up and ready, that is why one of the first exercises we would suggest is The Health Bounce. The Health Bounce is a good warm-up exercise. It is also good for relieving tension and improving lymphatic, or body fluid circulation. 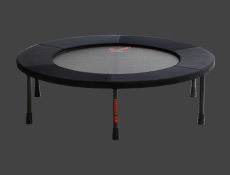 To do The Health Bounce, be in the center of your Rebounder, move up and down by using your toes and your calf muscles. Your toes will not leave the mat surface. 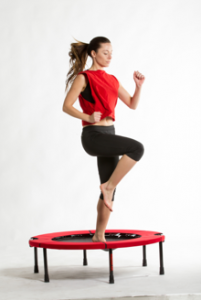 The Health Bounce stimulates the vestibular system, the antigravity muscles, the nerves in the joints, ligaments and muscles, creating a much keener sense of balance. Once your body is warmed up and you’re ready to start your workout, a good transition is The Strength Bounce. 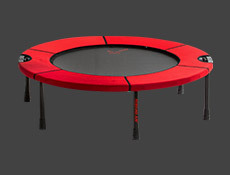 To do this, in the middle of the Rebounder bounce so that both feet leave the mat at the same time. Rhythmically shove your toes into the mat, bend and straighten your knees shoving your feet into the mat. Swing your arms upward in rhythm. A combination of any or all will accomplish the same result. The last workout we will go over now is Rebound Running. 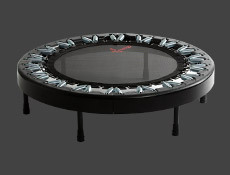 It utilizes the same body movements as Rebound Jogging, but at a much faster pace. While running, move your arms the opposite direction you are moving your legs and don’t wait for the mat to bounce you. Run at your own pace. This exercise is easier and safer on your joints and will yield long-term health benefits. For more great exercises watch our Keep on Rebounding DVD. It will help you understand the benefits of your workouts, as well as teach you routines to help you further your fitness. Happy rebounding!